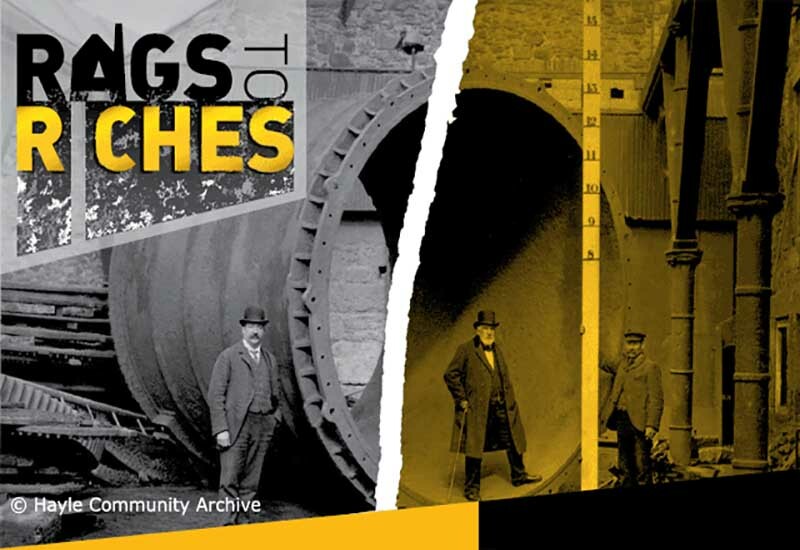 ‘Rags to Riches’ was a learning and cultural project commissioned by The Cornwall and West Devon Mining Landscape World Heritage Site (CMWHS) programme. 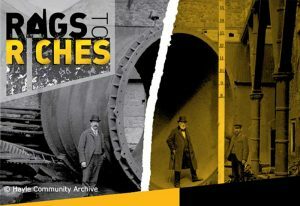 Its key aim involved ‘celebrating, promoting and propagating "The Distinctiveness of Cornish Mining culture..."
Learning sessions and celebratory performance events were held at 4 key locations in 2015: Tamar Valley (Gulworthy), Heartlands (Pool, Redruth), East Pool Mine (Pool, Redruth) and Harvey's Foundry (Hayle). 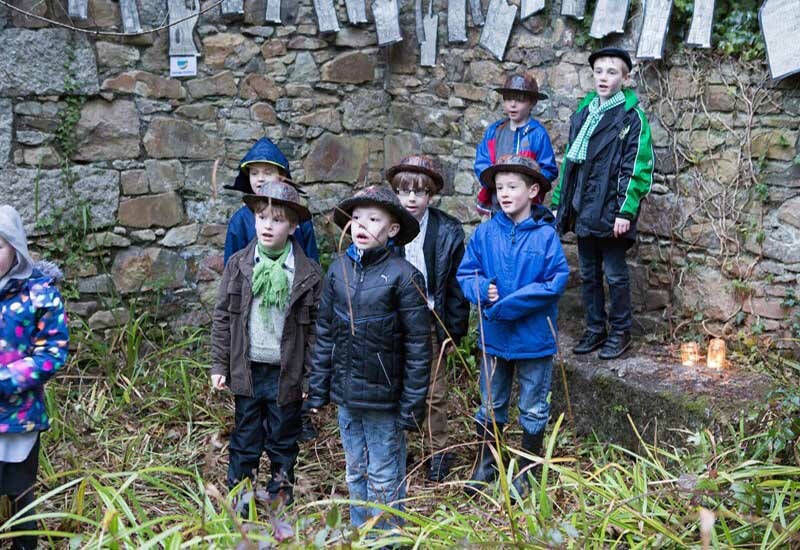 The project emphasised working in partnership with schools, heritage organisations, artists and other adults. Golden Tree Productions, now famous for Man Engine, were responsible for engaging artists to put across the CMWHS aims. 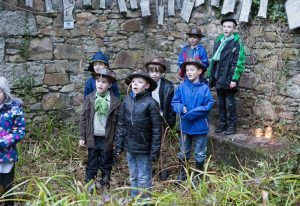 The Final Event at Harvey's Foundry on 25th March 2015 was attended by 350 people, compared to 300 at Pool and 260 at the Tamar Valley. The Community Liaison Officer for Hayle ASDA reported that the project was "very informative, visual, fun and interactive – a great way to learn." The lead artist at Hayle was Will Coleman, supported by 5 other artists/specialists. Events from the town’s history were told by people living in Hayle, aided by actual artefacts from Geevor mine. 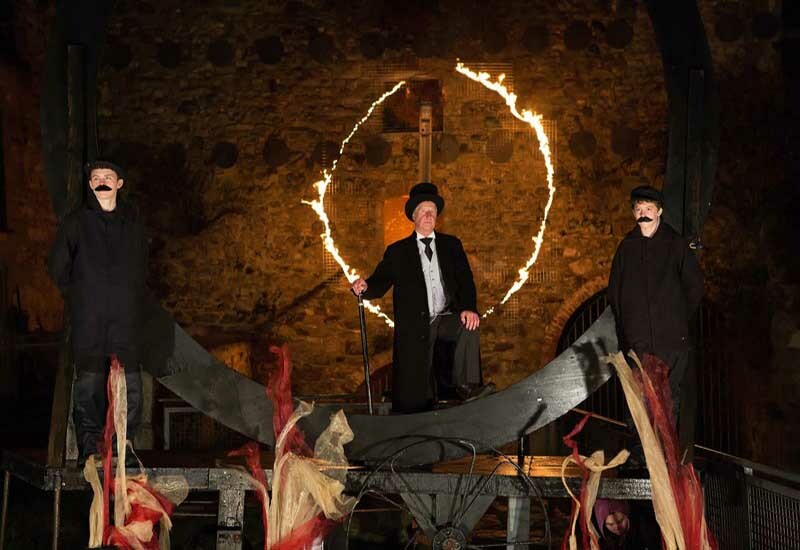 Ballad writing and drama exemplified this, exploring stories such as the explosion at Hayle Dynamite Works in 1904. Two "intergenerational tea parties" were organised with town ‘seniors’ and young pupils from Hayle Community School, conversations being recorded. After demonstrations, pupils were involved in tin casting. 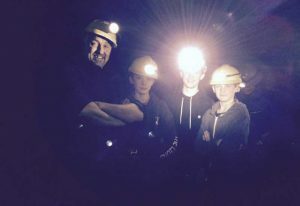 Children also visited Terrill’s, to see a modern–day working foundry, and the Camborne School of Mines test mine to experience underground explosions. 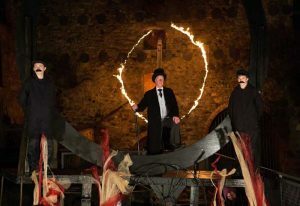 With live singing by children and adult community choir members, the audience went on the guided Rope Walk to Foundry Farm where they witnessed a spectacular re-creation of a huge steam engine cylinder, accompanied by more singing, drama, sound effects and fire-sculpture. "I never realised that Hayle was so important." Year 8 pupil, Hayle Community School.